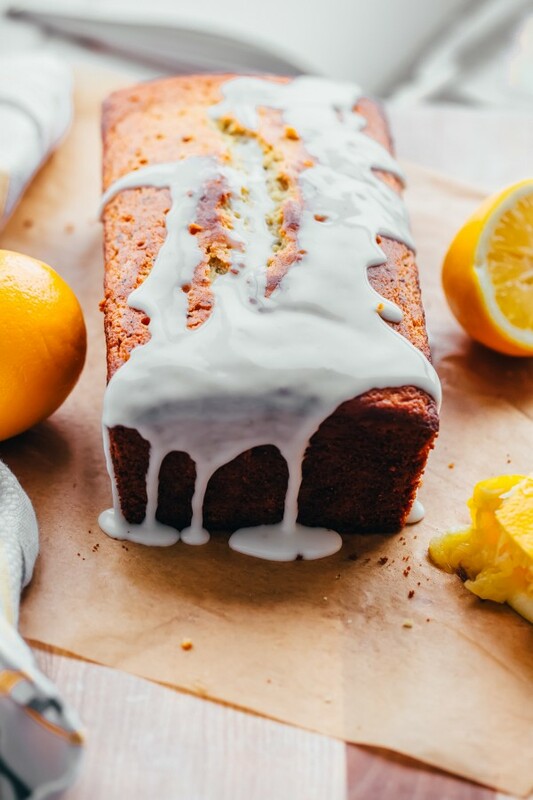 A deceptively healthy lemon cake made with 100% whole grains, Greek yogurt, and extra virgin olive oil! Ok, so I have a little bit of a confession today. I looked in the recipe archives and discovered that it has been nearly two years since I shared a loaf or quick bread recipe with you. No, just no. Quick breads, loafs, and loaf cakes were my favorite baked good to make when I was growing up. I don’t know whether it was because they were easy to make or simply satisfying to create, but whenever I was stressed out in high school, I would promptly head into the kitchen and stress-bake loaves. By the way, this apple oatmeal breakfast bread was a repeat favorite. The act of pulling out containers of flour, sifting ingredients, and losing myself in a cookbook recipe was the perfect amount of distraction from whatever (probably not quite as dire as it seemed) situation I was facing. There’s nothing that a therapeutic stress-bake session won’t fix. If any of those baked goods involve Meyer lemons, which peak at this time of year, the more the merrier. 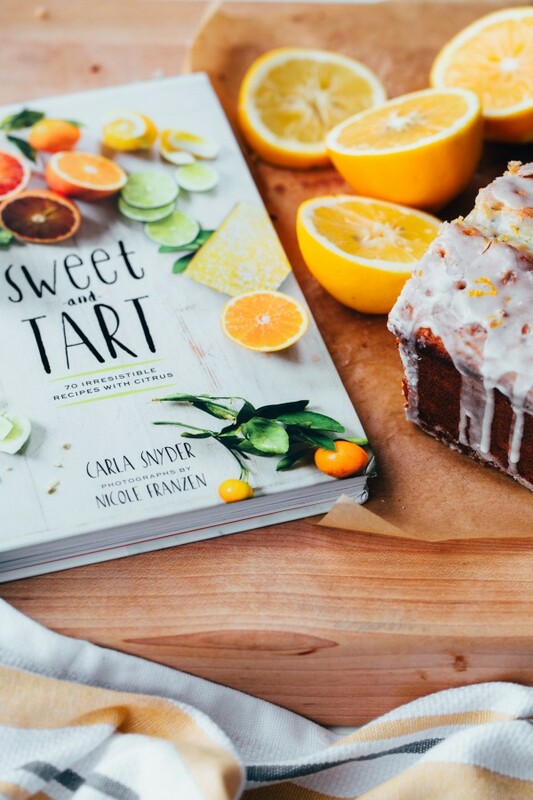 So, today I’m taking a break from recipe development, giving someone else the reins, and sharing a beautiful olive oil poppy seed loaf from the Sweet and Tart cookbook that arrived on my doorstep months ago. 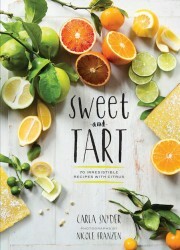 The cookbook, written by Carla Snyder, immediately caught my attention – and admiration and love – because it is all about citrus. Literally, 70 recipes which put citrus front and center. If you’ve been reading this blog for some time, you know that my citrus obsession is real. I went through gallons of grapefruit juice as a kid, put lemon and lime juice in practically everything, and combine orange with chocolate whenever possible. I have lemons and limes on hand at all times. Citrus fruits are flavor powerhouses for all savory and sweet foods, and you won’t find me without them. So, this cookbook was made for me. It is a gorgeously designed cookbook with food photography that makes you lose yourself in the pages. Stunning, clean, and accessible. 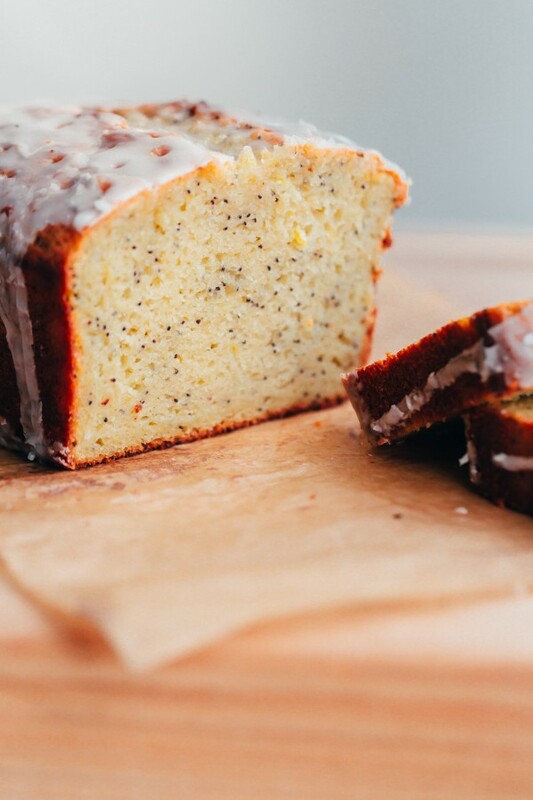 Every single recipe has caught my attention, but I instantly gravitated towards the olive oil poppy seed loaf with lemon glaze. The best part? It’s actually pretty healthy! It is 100% whole grain, and uses Greek yogurt and extra virgin olive oil! The original recipe called for unbleached all-purpose flour and I decided to sub in my favorite whole wheat pastry flour to make it more nutritious. Because why not? 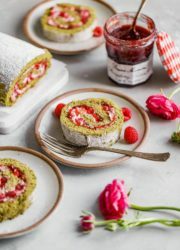 Whole wheat pastry flour is made from soft white wheat (not to be confused with regular whole wheat flour, which is made with hard red wheat), so it has a much lower gluten percentage than traditional whole wheat flour. 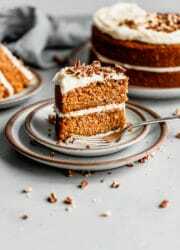 It is my favorite alternative to all-purpose flour in baked goods, because it yields tender cakes – while still adding the same nutritional benefits. It worked beautifully, because this lemon cake was still tender as can be. It would definitely be fluffier and more traditional with all-purpose flour (feel free to use it! ), but I would never have known this loaf cake was 100% whole grain if I hadn’t made and baked it myself. Once the loaf cake has finished baking, you pierce the top of the still-warm loaf with a wooden skewer (I used wooden kebab stick) and pour the lemon glaze over the top. Love, love, love. To make it more seasonal, I swapped in my favorite Meyer lemons for regular lemons. I love using Meyer lemons at this time of year, because they are a bit sweeter and so much juicier than traditional lemons – thanks to their extra thin rinds. 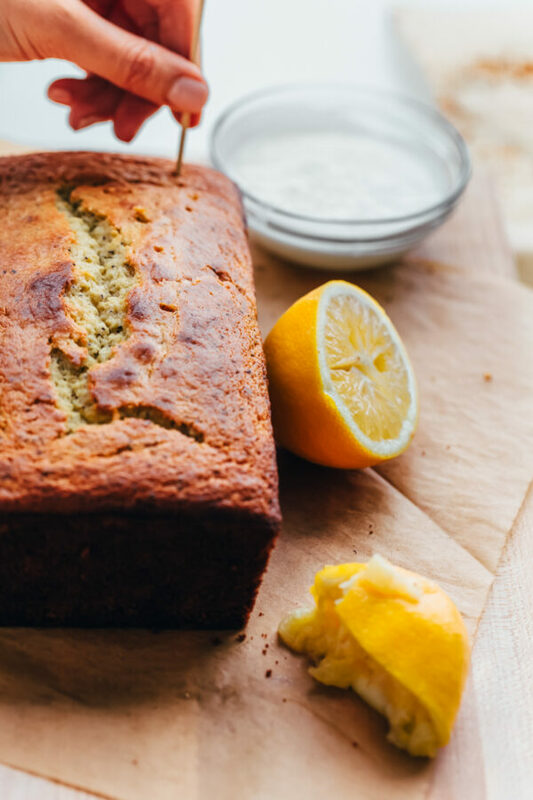 With that being said, this loaf would be great with every citrus fruit you can imagine – Cara Cara oranges, lime, blood orange, or grapefruit would be just as good! Preheat the oven to 350 degrees Fahrenheit (180 degrees Celsius). Grease a 5-x-9-inch loaf pan and line the bottom with parchment paper. Whisk the flour, baking powder, baking soda, and salt in a medium bowl until combined. Set aside. 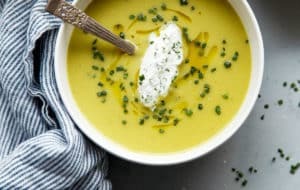 Using a stand mixer, fitted with a whisk attachment, or hand-held mixer, beat the granulated sugar, Meyer lemon zest, Meyer lemon juice, and yogurt on medium speed until blended. Add the eggs, one at a time, and then the olive oil and beat until creamy. Turn the speed to low, add the flour mixture in three additions, and beat until smooth. Add the poppy seeds and beat until just blended. Pour the batter into the prepared pan and smooth the top. Bake for 50 minutes to 1 hour, or until a wooden skewer inserted in the center comes out clean. Let cool in the pan on a wire rack for 10 minutes, then turn out onto the rack. Peel off the parchment paper and turn the loaf right-side up. Prepare the glaze: Combine the powdered sugar, cream, and Meyer lemon juice in a small bowl and whisk until smooth. Place the rack with the warm cake on a baking sheet (to catch any drips). Poke holes in the top of the cake with the wooden skewer and pour half of the glaze over the top. Once the cake has cooled completely, pour the remaining glaze over the top and let it dry before slicing. Garnish with Meyer lemon zest. Store, covered, at room temperature for up to 4 days. Barely adapted and published with permission from the Sweet and Tart cookbook by Carla Synder (Chronicle Books, 2015). Feel free to use regular lemons or any other winter citrus. Oranges, Cara Cara oranges, or blood oranges would also work really well as flavor variations for this loaf! The original recipe called for unbleached all-purpose flour and this loaf will work perfectly with it too, or you could use 50% all-purpose flour and 50% whole wheat pastry flour. 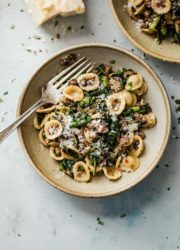 I have a similar recipe on my site and looooove it! I haven’t made it in a while though, so this is definitely a reminder. 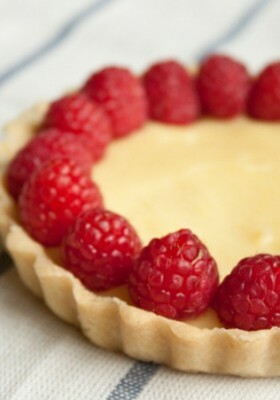 What I love about this recipe, is the whole wheat pastry flour and meyer lemons. Definitely need to try!! Ohhh I’ll have to go check it out! 🙂 I love Meyer lemons! looks so delicious! will have to try it out!! Thank you so much Evelina! 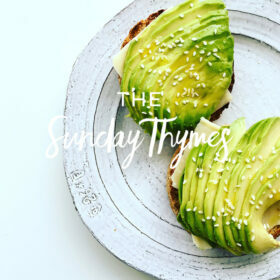 This looks light, fresh and so yummy!! Loving that glaze! This looks amazing! 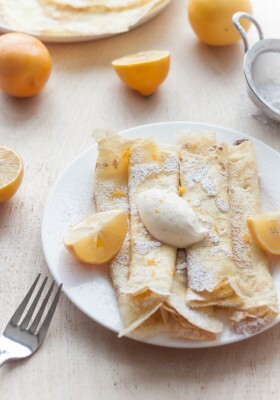 Love that you used meyer lemons and I can’t wait to go out and buy that whole wheat pastry flour! Yes! I love it! You can also find it on Amazon (or it’s on sale on Bob’s Red Mill’s website right now) if you can’t find it at the store! i love any cake/quick bread with lots of yogurt and olive oil ? and it doesn’t even look like whole wheat flour wow!! Me too! This one didn’t taste quite as olive oil-y as some other cakes I’ve made before, but I love that it’s a bit healthier! you could have fooled me – I’d never know at first glance that loaf was made with whole wheat pastry flour! what a delicious-looking cake. perfect for ringing in springtime! I love it! Great combo of tastes! This looks fantastic! Love the addition of meyer lemons. I just love those 🙂 Have a great weekend! Making it tonight, and have even order the cookbook! Lemons! Yum! Greek yogurt AND whole grains AND lemon poppy seed (my most favorite thing ever!)?! This loaf is basically everything I could ever dream about, and It is my food heaven. That is all. Pinned! If this isn’t the most moist quick bread I’ve ever seen… I can’t get over it! I love that you swapped out the all-purpose flour for whole wheat pastry flour. 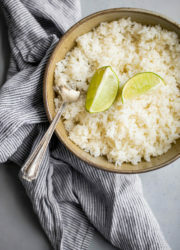 I’ve been eyeballing Carla’s cookbook for a little while already and I think you’ve just convinced me to take the plunge! Please post calorie content for your recipes. Thanks so much for the feedback! 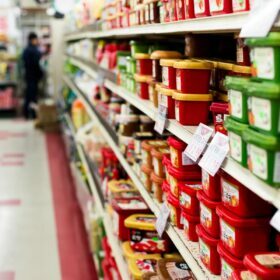 I don’t post calories, because it would require inputting all of the information into generic calorie calculators (and those numbers have a reputation for yielding very inaccurate numbers) – so I feel uncomfortable sharing that information unless it’s 100% accurate. I hope you understand! Thanks! 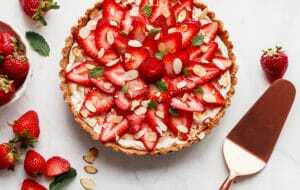 Can I substitute stevia or monk fruit for the sugar. I can’t do sugar. I have tried to used WW pastry flour before but have not had much luck. Most items come out like hockey pucks. Have you had any luck with sugar substitutions? Hi Linda. I don’t use stevia or monk fruit myself (or other sugar substitutions, with the exception of maple syrup or honey occasionally), so I don’t know how it preforms from a baking standpoint in order to be able to tell you whether or not you can substitute it with success – if you have done this before, than I would say use whatever ratio you have used in the past. Whole wheat pastry flour has lower protein than unbleached all purpose flour, so it does not produce hockey puck baked goods. 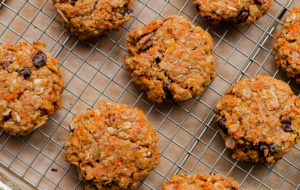 If that is happening to you when you use it, it sounds like other substitutions/changes are the culprit – perhaps one of those sugar substitutes, as traditional sugar lends moisture and tenderness to baked goods. In addition, I highly caution you to substitute coconut flour in any baked good, unless the recipe already calls for it and/or you have a large amount of experience substituting it in recipes. It absorbs liquid much differently, and has completely different properties, so you would need to adjust other quantities of liquids/dry ingredients in order for the recipe to turn out. I would recommend following this recipe as written for best results, with perhaps a sugar substitute, if necessary. Also, I prefer to use just WW Pastry flour and or coconut flour because of the high fiber ratio to carbs. I don’t do almond flour and white flour is not very healthy.